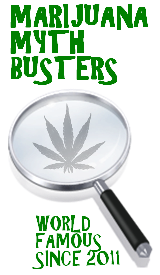 Click on your location to find out the marijuana laws where you live. Is medical marijuana legal in your state? Or, has recreational use been legalized? Find out now. These days it seems like everyone and their grandmother has something to say about pot. With the recent legalization of marijuana in Washington and Colorado even President Obama and Bill Gates have chimed in on the conversation. Unfortunately, very few people have heard that cannabis can help them achieve their health and wellness goals in 2014. The cold, hard fact is that while our chances of upholding our New Year’s resolutions are getting slimmer by the day, we most likely are not. But, there’s hope. What if I told you that smoking marijuana at least 3 times per week reduced your chances of obesity by ⅓? Would you believe me? If your answer is “no”, then check out this study published by the American Journal of Epidemiology. In multiple cases, it was shown that occasional marijuana use does in fact reduce the risk of obesity. The truth is finally out, and getting lifted is just as good for your health as lifting weights. Beyond this one benefit, marijuana seeds are one of nature’s best sources of polyunsaturated fats and are a good source of protein. Protein is required to build muscle, while polyunsaturated fats have been shown to reduce cholesterol levels and decrease the risk of heart disease. The American Heart Association goes on to say that the nutrients contained within polyunsaturated fats “play a crucial role in brain function”. If you’re already convinced and are looking to add marijuana seeds to your next meal, we highly recommend Hemp Hearts from Manitoba Harvest. To round out the “Doobie Diet”, you want to make sure to smoke your favorite herbal supplement at least once every two days. A little exercise probably wouldn’t hurt either. If you have a personal story regarding how marijuana has affected your health in a positive way, please share that with us on Facebook. Warren Haynes, the Allman Brothers Band guitarist, routinely plays with the surviving members of the Grateful Dead, now touring as The Dead. He’s just finished a Dead show in Washington, D.C. and gets a pop quiz from the Huffington Post. Depending on who you ask, or their state of inebriation, there are as many varieties of answers as strains of medical bud in California. It’s the number of active chemicals in marijuana. It’s teatime in Holland. It has something to do with Hitler’s birthday. It’s those numbers in that Bob Dylan song multiplied. The origin of the term 420, celebrated around the world by pot smokers every April 20th, has long been obscured by the clouded memories of the folks who made it a phenomenon. The Huffington Post chased the term back to its roots and was able to find it in a lost patch of cannabis in a Point Reyes, California forest. Just as interesting as its origin, it turns out, is how it spread. It starts with the Dead. It was Christmas week in Oakland, 1990. Steven Bloom was wandering through The Lot – that timeless gathering of hippies that springs up in the parking lot before every Grateful Dead concert – when a Deadhead handed him a yellow flyer. “We are going to meet at 4:20 on 4/20 for 420-ing in Marin County at the Bolinas Ridge sunset spot on Mt. Tamalpais,” reads the message, which Bloom dug up and forwarded to the Huffington Post. Bloom, then a reporter for High Times magazine and now the publisher of CelebStoner.com and co-author of Pot Culture, had never heard of “420-ing” before. Bloom reported his find in the May 1991 issue of High Times, which the magazine found in its archives and provided to the Huffington Post. The story, though, was only partially right. But the Cheshire cat is out of the bag. Students and locals will show up at round four, light up at 4:20 and be gone shortly thereafter. No bands, no speakers, no chants. Just a bunch of people getting together and getting stoned. The code often creeps into popular culture and mainstream settings. All of the clocks in Pulp Fiction, for instance, are set to 4:20. In 2003, when the California legislature codified the medical marijuana law voters had approved, the bill was named SB420. The Waldos do have proof, however, that they used the term in the early ’70s in the form of an old 420 flag and numerous letters with 420 references and early ’70s post marks. They also have a story. It goes like this: One day in the Fall of 1971 – harvest time – the Waldos got word of a Coast Guard service member who could no longer tend his plot of marijuana plants near the Point Reyes Peninsula Coast Guard station. A treasure map in hand, the Waldos decided to pluck some of this free bud. The Waldos were all athletes and agreed to meet at the statue of Loius Pasteur outside the school at 4:20, after practice, to begin the hunt. “We would remind each other in the hallways we were supposed to meet up at 4:20. It originally started out 4:20-Louis and we eventually dropped the Louis,” Waldo Steve tells the Huffington Post. It’s one thing to identify the origin of the term. Indeed, Wikipedia and Urban Dictionary already include references to the Waldos. The bigger question: How did 420 spread from a circle of California stoners across the globe? As fortune would have it, the collapse of San Francisco’s hippie utopia in the late ’60s set the stage. As speed freaks, thugs and con artists took over The Haight, the Grateful Dead picked up and moved to the Marin County hills – just blocks from San Rafael High School. “Marin Country was kind of ground zero for the counter culture,” says Steve. The Waldos had more than just a geographic connection to the Dead. Mark Waldo’s father took care of real estate for the Dead. And Waldo Dave’s older brother, Patrick, managed a Dead sideband and was good friends with bassist Phil Lesh. Patrick tells the Huffington Post that he smoked with Lesh on numerous occasions. He couldn’t recall if he used the term 420 around him, but guessed that he must have. The band that Patrick managed was called Too Loose To Truck and featured not only Lesh but rock legend David Crosby and acclaimed guitarist Terry Haggerty. Lesh, walking off the stage after a recent Dead concert, confirmed that Patrick is a friend and said he “wouldn’t be surprised” if the Waldos had coined 420. He wasn’t sure, he said, when the first time he heard it was. “I do not remember. I’m very sorry. I wish I could help,” he said. As the Grateful Dead toured the globe through the ’70s and ’80s, playing hundreds of shows a year – the term spread though the Dead underground. Once High Times got hip to it, the magazine helped take it global. Sometime in the early ’90s, High Times wisely purchased the web domain 420.com. The Waldos say that within a few years the term had spread throughout San Rafael and was cropping up elsewhere in the state. By the early ’90s, it had penetrated deep enough that Dave and Steve started hearing people use it in unexpected places – Ohio, Florida, Canada – and spotted it painted on signs and etched into park benches. In 1997, the Waldos decided to set the record straight and got in touch with High Times. “They said, ‘The fact is, there is no 420 [police] code in California. You guys ever look it up?’” Blooms recalls. He had to admit that no, he had never looked it up. Hager flew out to San Rafael, met the Waldos, examined their evidence, spoke with others in town, and concluded they were telling the truth. Hager still believes them. “No one’s ever been able to come up with any use of 420 that predates the 1971 usage, which they had established. So unless somebody can come up with something that predates them, then I don’t think anybody’s going to get credit for it other than them,” he says. “We never made a dime on the thing,” says Dave, half boasting, half lamenting. He does take pride in his role, though. “I still have a lot of friends who tell their friends that they know one of the guys that started the 420 thing. So it’s kind of like a cult celebrity thing. Two years ago I went to the Cannabis Cup in Amsterdam. High Times magazine flew me out,” says Dave. Dave is now a credit analyst and works for Steve, who owns a specialty lending institution and lost money to the con artist Bernie Madoff. He spends more time today, he says, composing angry letters to the SEC than he does getting high. The other three Waldos have also been successful, Steve says. One is head of marketing for a Napa Valley winery. Another is in printing and graphics. A third works for a roofing and gutter company. “He’s like, head of their gutter division,” says Steve, who keeps in close touch with them all. Source: This article was originally published in 2009 by Ryan Grim on the Huffington Post website. In this article, we will teach you how to make hash out of your kief. Keep reading to find out how. But, first. Hello everyone, if you’re new here we’d like to welcome you into the MJMB community.Recently, we got a question from one of our loyal fans asking us what the best use of his kief (or keef, either way is correct) would be. For anyone who is not familiar with the term, let me explain a little about what it is. When a marijuana plant reaches maturity in its growth cycle trichomes are formed on the leaves and buds of the plant. These trichomes contain THC at a higher concentration than any other part of the plant. The buds and the leaves also contain THC, but trichomes which are the kief is the most potent part of the plant. The word kief is derived from the Arabic word kayf, which means well-being or pleasure. I’m sure that we will get into this at a later date, but for now let me get into what to actually do with your kief. GOT KIEF??? USE YOURS IN ONE OF OUR REEFER RECIPES!!! What can you do with Kief? Once you have a substantial amount collected there are several great things you can do with it. The first and most obvious is to just smoke it as it is; it can be smoked alone in a pipe or bong, mixed with marijuana in a joint, sprinkled on top of a bowl pack, or mixed with tobacco in a spliff. You can also purchase a kief press and turn it in to a little brick (this is hash, keep reading for more details), which will make it easier to smoke in a bowl and also helps it to burn longer. You can use it to make THC infused butter or oil to use in brownies, cookies, or any recipes that call for the use of butter or oil; like pop corn, toast, garlic “herb” butter for steak, and anything else you could imagine. Check the Food Network for more ideas, haha. But, what is the best use for kief? Based on our experience in Amsterdam and Christiania (an area of the city of Copenhagen, Denmark) where hash is prevalent, we have concluded that the best use for kief would be pressing it into hash. Essentially, when you press kief and make it into a little ball or a little brick you are making hash, very pure and potent hash. Hash can be produced through many methods, put pressing kief produces some of the best tasting and most potent hash that you can find. The easiest way to do this would be to use a kief press, but there are other ways. You can simply take a small amount and roll it into a ball in between your palms, this method is very cheap but can be very sticky and messy. If you have about as much as is in the picture above (3+ grams), you can use the following Marijuana Myth Busters approved method. Take a piece of wax paper about 20 inches long. Put your kief in the center, and fold it in half. Get and iron, turn it on the lowest setting. Put a tshirt or thin towel over the wax paper. Apply pressure with the iron for about 30 seconds. If you don’t have an iron you can do any combination of things to simply press all the kief together (i.e. put it in a book and step on it), but the method listed above is by far the best small scale method out there. The heat helps the trichomes bind together, but make sure you don’t burn anything because in that case you will be wasting THC. If anyone has any questions, feel free to post them and we will address them as they come in. USE YOUR KIEF TO MAKE CANNABUTTER!! !